Captain Kirk and the crew of the EnterpriseTM pursue a most critical mission: rescuing the brilliant scientist Zefram Cochrane from captors who want to use his skills to develop a way to conquer the galaxy. 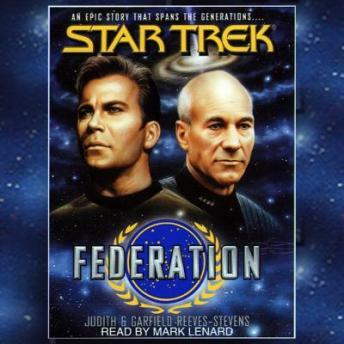 Ninety-nine years in the future, Captain Picard commands his own Enterprise crew on a similar mission, the rescue of an important and mysterious person whose safety is vital to the Federation's survival. As their missions develop, the two Enterprise's are drawn closer together until the past and future overlap, and in a very literal sense the fate of each ship depends upon the success of the other.